First time BPR Winter League shooters must have some match experience (such as USPSA or IDPA matches) or training (law enforcement, armed security and such) in holster work. Those without the required experience must attend the orientation. If in doubt, contact one of the match officials. All holsters that meet USPSA or IDPA rules are valid. First-time shooters may start from low ready (for the orientation or one match only) but two seconds will be added to their time. Shooters that enter more than once without a holster will not receive match credit. A minimum of three magazines or four speed loaders with their holders, are recommended. Typically, a match uses no more than 50 rounds of ammunition. Since stage re-shoots occasionally happen, bring extra. Steel targets may be scored on hits, or must be knocked down, whichever is described in the stages course description. Paper targets are scored by the zone hit, and power factor of the round. The points earned from target hits, less any penalty points, are divided by the time to complete the stage. This is the point Rate (or Hit Factor in USPSA). The shooters stage is a percent of the highest Point Rate in the shooters division earned on that stage. For example, a bullet hit in the “A” zone and a hit in the “C” zone using a caliber with a Major Power Factor would be 5 points plus 3 points, for a total of 8 points. There are several penalties that may be "awarded" to a shooter, and will reduce the shooter's score. Some of these are..
DQ (Disqualified) - Usually for a safety violation, but can be rewarded for unsportsmanship-like conduct, or using ammo not permitted on the range. The shooter will not earn any credit for this match. DNF(Did Not Fire / Did Not Finish) - shooter did not complete the COF (Course-of-Fire) per the stage description. The shooter will get 0 points for that stage. Procedural - Usually earned for violating the stage description, but can sometimes be used when the shooter tries to "bend' the rules to his or her advantage. (IDPA calls this a "Failure to Do Right." Therefore, to "Do Wrong" is a penalty.) Subtract 2 A Zone values from that stage's score for each penalty. Extra Shots - Shooter fired an extra shot beyond the count allowed for that stage. Subtract 2 A's for each extra shot. Extra Hits - Shooter had too many hits on one or more targets in that stage. Subtract 2 A's for each extra hit. Miss - The target does not have the required number of hits. Subtract 2 A's for each miss. There are three power factors: Major, Minor and Light. The shooters PF is determined only by the caliber of ammunition, except for Open Division, which uses USPSA rules. Shooters' divisions depend on the pistol's configuration, ONLY! They are similar to, but NOT THE SAME, as the divisions in USPSA. All shooters may enter the Open Division, if they so choose. However, if you wish to enter a division based on your pistol's configuration, use the following table of feature descriptions and checklist to make your choice. If your pistol has optical / electronic sights, laser pointer, or a compensated / ported barrel, enter Open Division. If your pistol has an add-on magazine funnel, enter Open or Limited Division (your choice). If your pistol is SAO (Single Action Only) and based on the 1911 Government Model (or its derivatives), and your magazine will have no more than 8 rounds (for Major PF) or 10 rounds (Minor or Light PF) at the start signal, enter Single-Stack Division. 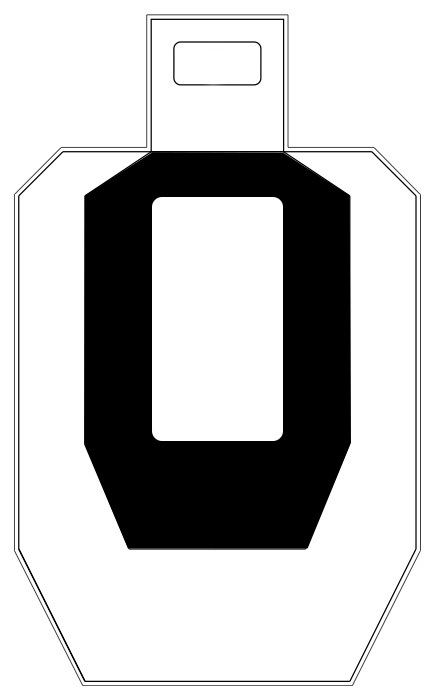 If your pistol is SAO (as above) but your magazines will have more than 8 rounds (for Major PF) or 10 rounds (Minor or Light PF) at the start signal, enter Open or Limited Division (your choice). If your pistol is SAO and not based on the 1911 Government Model (or its derivatives), enter Open or Limited Division (your choice). If your pistol is a revolver, and it will be loaded with no more than 6 rounds at the start of the signal, enter Revolver Division. If your pistol is a revolver, and it will be loaded with more than 6 rounds at the start of the signal, enter Single-Stack Division. If your magazine will be loaded with no more than 10 rounds at the start of the signal, enter Production Division. If your magazine will be loaded with more than 10 rounds at the start of the signal, enter Open or Limited Division (your choice). For shooters to be eligible for a trophy, they must have entered at least 7 matches for the season. The shooters' best 14 stage scores will be used to determine their seasons' score. The number of trophies awarded will depend on the number of shooters eligible for trophies in each division.